This new edition provides Renewed Framework writing activities for every genre. 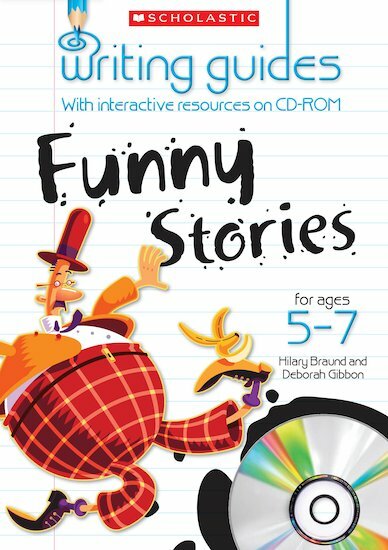 Now with interactive resources on CD-ROM! Inspire even the most reluctant writers with these creative resources. Activities to teach your children crafting, drafting and editing, as recommended in Grammar for Writing. Get interactive with on-screen writing activities, writing frames and more. Develop their understanding of writing genres using example texts and invaluable definitions. Quick-fire and week-long projects to fit into your day. Hilary Braund is a Year 1 and Year 2 teacher at an East London infants school. Her previous publications include several Read and Respond titles, Scholastic Literacy Cenre: Yellow Fiction: Familiar settings and Predictable and patterned language. She is co-author of ‘Writing Guides: Fairy Stories 5-7, Funny Stories 5-7, and Recounts 5-7. Jean Evans is an early years consultant and nursery inspector. For many years she ran her own nursery school and she has also been head of an LEA nursery unit/Early Years co-ordinator. She is the author of Themes on Display: All About Me, Themes on Display Festivals, Skills for Early Years Constructing and Making, Skills for Early Years Social Skills and Early Years Around the Year Personal, Social and Emotional Development. She is a regular contributor to Early Years Activity Bank and Nursery Education magazine. Deborah Gibbon is a deputy head teacher at an East London infants school. Her previous publications include several Read and Respond titles, Scholastic Literacy Cenre: Yellow Fiction: Familiar settings and Predictable and patterned language. She is co-author of ‘Writing Guides: Fairy Stories 5-7, Funny Stories 5-7, and Recounts 5-7.